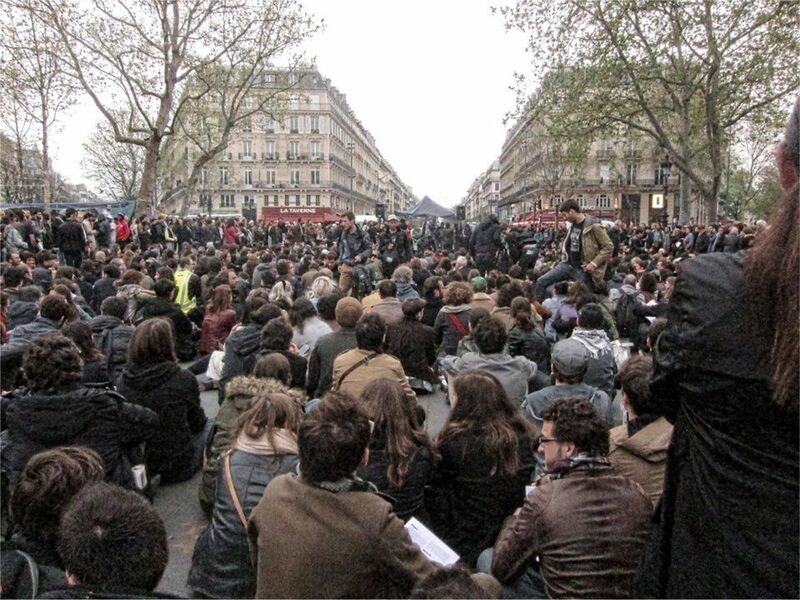 On April 28, for the fourth time in two months, hundreds of thousands of French workers, students and youth poured out into the streets to demand that the government withdraw a new labor law that is to be taken up in Parliament next week. Thousands of worksites, schools and universities were closed in a one-day general strike so their workers could participate. The protests occurred in most major French cities — in particular, Paris, Marseille, Bordeaux, Rouen, Lyon, Toulouse and Rennes. More protests are scheduled for May Day and May 3, the day Parliament officially begins discussing the new law. Since the government has extended the state of emergency imposed after the attacks on Paris on Nov. 13 until this September, it has sweeping powers to harass and control protests. Hundreds of thousands of people came out to demonstrate. Both before and after the main marches there were sharp confrontations between the cops and protesters. The new law would remove many protections and benefits that French workers have won over decades of struggle. It would make it much harder for students and youth entering the labor force to find steady, full-time work. It would basically abolish the standard workweek of 35 hours and any protection against excessive overtime. There has been a split in the French labor movement. On one side is the French Democratic Confederation of Labor (CFDT), which is closely allied to the governing, misnamed Socialist Party. On the other are the much more militant unions like the General Confederation of Workers (CGT) and Workers Force (FO). The CFDT says that with a few, fairly minor modifications, the new labor law is acceptable. The CGT and FO want it withdrawn since it is rotten to the core. The CGT just finished its triannual congress in Marseilles. There, it resolved to strengthen its jobsite organizing. It also said it will reach out to other forces that are struggling in a progressive direction but which are not necessarily oriented to a workplace, like students and artists. (L’Humanité, April 21). One example of collaboration between labor and other forces was the joint action of striking railroad workers and “intermittents” — actors with a temporary contract — that shut down a production of Phèdre at a major Paris playhouse called the Odeon. But the major connection that the CGT is trying to build is with the progressive forces and individuals working within Nuit Debout (generally translated as “Staying Up All Night”). This movement has occupied the Place de la République, much like Occupy Wall Street in the U.S. occupied Zuccotti Park or the Indignados movement in Spain occupied Puerto del Sol in Madrid. An alternative newspaper called Fakir proposed in February extending the demonstrations against the new labor law after the marching was finished by getting together in a public place and discussing more issues than the protest against the labor law. The first time a Nuit Debout was established was after the huge demonstration on March 31 against the proposed labor law. It was replicated in dozens of French cities, and even in Francophone areas of Canada and Belgium. It was well organized with a good sound system and written summary reports of the discussions that took place previous evenings, some YouTube channels to make videos available and an Internet radio station. 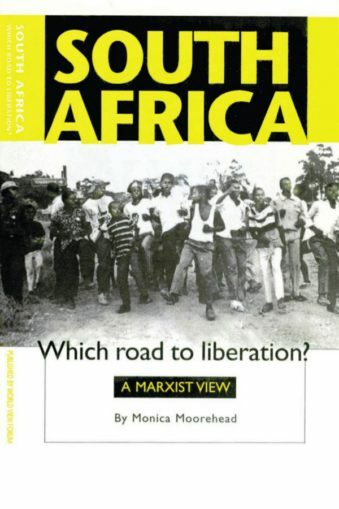 There were a number of commissions set up — some dealing with logistics and organization, others with special topics like the LGBT+ struggle, feminism, the role of France in Africa, left parties in France, and the possibility of and how to call an ongoing, i.e., multiday, general strike. While many of the people participating in the Nuit Debout were young, there was a broad range of ages represented, with older people tending to come after work. The French media extensively covered the Nuit Debout. The government reacted by ordering a very heavy police presence, which was kept out of direct sight of the occupied Place. Cops made sweeps of the area every week or so, removing tents and tables. In a statement issued April 29, the CGT said: “500,000 demonstrators throughout France reaffirmed that they are convinced that the government must hear the street and withdraw its bill. “Already new, massive demonstrations are projected for May Day, the international day of workers’ struggle. New initiatives — demonstrations, speakouts, lobbying — will take place Tuesday, May 3, when the National Assembly opens debate on the bill.